Shanghai - The billionaire chairman of Chinese drinks maker Hangzhou Wahaha Group Co has knocked back reports he is planning a bid for struggling Italian soccer giants AC Milan, currently controlled by Italy's former prime minister Silvio Berlusconi. Zong Qinghou, worth an estimated $19 billion according to the latest annual Hurun rich list, said reports in Italian media that he was planning to purchase up to 75 percent of the Italian team were "sheer fiction". "We have no intention of getting into the soccer sphere, and have not made any contact with AC Milan," Zong said on his official Sina Weibo microblog account. Speculation has swirled around the Italian club, one of the country's most prestigious teams, but which has struggled since last winning a league title in 2011. Thai businessman Bee Taechaubol said in February he had held "cordial and private" discussions with the club, prompting Berlusconi to respond that he was not interested in selling his controlling stake. China's billionaires have been starting to snap up sporting assets outside the country's borders. In January, property conglomerate Dalian Wanda Group bought 20% of Spanish soccer champions Atletico Madrid for €45m, becoming the first Mainland company to invest in a top European club. 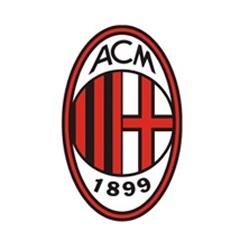 Media reports in China had suggested Wanda may also be interested in taking a stake in AC Milan as part of plans to deepen its push into sports and entertainment. Zong, however, said Wahaha would prefer to look within China's borders rather than overseas. "Even if we wanted to buy a soccer club, we would only consider a domestic team," he said.